Next weekend I will be shooting a Cheer Leading and Dance Competition for a national sports photography business. This has come about after I photographed the Australian National Gymnastics Championships and, via a series of circumstances, was put in touch with the sports photography business. They saw my gymnastics images and asked me to shoot for them at the cheer leading and dance competition. For this ‘job’ I’ll be paid an hourly rate, while the sports photography business will do all client liaison and post production. That’s very different for me, and has lead me to consider my thoughts on shooting for an hourly wage. This opportunity has come after I photographed the Australian National Gymnastics Championships. How’s the Event Photography Going to Work? Cheer leading is a fast paced, action, team sport. The event will be held at a major indoor venue in Melbourne, Australia (Melbourne Sports and Aquatic Centre). I’m familiar with the venue as I’ve shot basketball there. Each performance will be covered by two photographers positioned at different points inside the stadium. One will use a 24-70mm lens to ensure coverage of the team formations, while the other photographer will shoot close ups using a 70-200mm lens. The sports photography business provide all the equipment – including cameras, lenses and memory cards. It’s going to be strange for me to shoot an event using someone else’s gear! I’m glad that they are using Canon equipment as I’m a Canon user and will be familiar with the cameras and lenses. So what are my thoughts on shooting for an hourly wage? The sports photography company will provide all equipment. there’s no risk. I know exactly the financial return before I shoot the job. my focus can be on creating strong images as there’s no client liaison to do. I enjoy getting to know my clients and to understand what they want. I also enjoy being able to focus on creating strong images. It is going to be refreshing to focus solely on creating strong images next weekend. there’s no post production involved. I generally don’t mind post production work, but it is time consuming and often brain-numbing! I am really looking forward to being able to enjoy the event and hand over the images to the sports photography company to do the post production work. payment will be prompt. The sports photography business pay photographers within 7 days. I have certainty about income, and payment will be prompt. doing a good job will lead to more events. Like everyone, the sports photography company wants good people working for them. I know that a job well done will lead to more events in future. The sports photography business are taking all the risk. I have certainty about income, but won’t make a lot from this job. I won’t make much money. While I’m expecting it to be straight forward, the hourly rate is not high. The sports photography company are taking the risk and will also reap the reward of a job well done. I don’t make any extra for doing a great job. In my normal client work a great job will lead to more prints or albums. That will lead to extra income. In next weekend’s event income is fixed regardless of the standard of the images. This work is irregular. This weekend is good timing for me. It’s mid winter and my wedding work is quiet. I know that if I do a good job there will be opportunity to photograph other events. I also know these events are irregular and generally on weekends. That’s not always going to suit. I’m looking forward to being able to just concentrate on creating strong images and let the sports photography business worry about everything else. I don’t think I could do this type of work all the time as I would miss the clients liaison and the financial upside of doing a great job. That said, I can see the benefit of doing this work to supplement my usual income sources. I’m expecting it to be a lot of fun and a relatively low stress job. I’d like to shoot this type of event during the quieter times of the year. So for now, I see it as a useful additional income to my business. I’ll be doing my best to shoot strong images so that the sports photography business ask me to shoot for them again. Do you do shoots like this? What are your thoughts on shooting for an hourly wage? This entry was posted in Event Photography, Sports and tagged event photography, sports, sports photography on June 24, 2018 by Craig Dingle. I often hear photographers discussing (or complaining!) that they don’t have enough paying clients. My response is to ask what they are doing to generate more business. And generally the response is a blank stare which implies ‘isn’t my website and social media presence enough to have people knocking down the door?’ No, it’s not. People have lots of pressures on their time and money – and will only shoot with you if you give them a compelling reason to do it now. There are many ways to drive additional business. One way is to use events to drive business. Read on! What do you mean events? By events, I mean special occasions. Demand for a range of products and services picks up very predictably when these events occur. Let’s take an example. What do you think happens for sales of chocolates and roses every February? They boom just before Valentine’s Day! And they boom just before Valentine’s Day every year! It’s predictable. How can you take advantage of that? 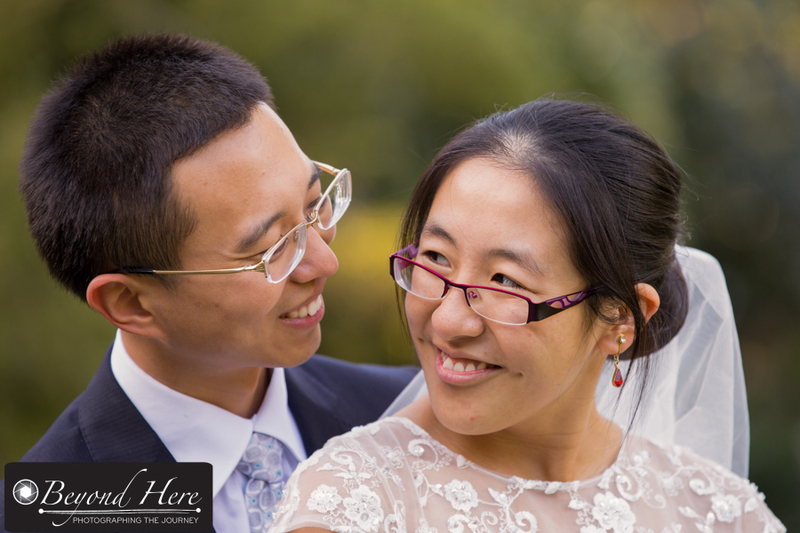 Have you considered offering a couples shoot before Valentine’s Day? Or sell a gift voucher for the couple to shoot with you after Valentine’s Day? Do you get the idea? You use the event to create a reason for the shoot to happen now. Regular readers of Beyond Here will know I shoot a lot of stock photography. Do events help sales of stock images? Yes! A resounding yes! Here in Australia there is a peak in sales of Australian themed images just before Australia Day at the end of January. How do I capitalize on this? 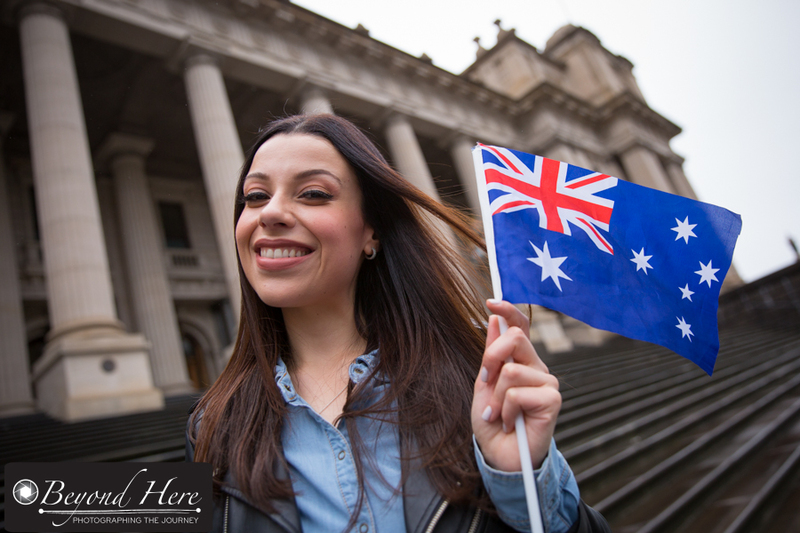 I shoot Australia Day themed images in October and November, and have them available in my stock portfolio by early December. That’s almost 2 months before Australia Day and ready for the increase in demand. And there are lots more events during the year which drive similar spikes in demand. Think about Valentine’s Day, Mothers Day, Fathers Day, and your national holidays. Could you use events to drive business? I’m sure you could. It just requires a little planning and a compelling reason for clients to have the shoot now. How can family photographers take advantage of this? Lots of photographers specialize in families and portraits. Here’s how I recommend you make the most of events. Got a national holiday coming up. Can you use events to drive business? Once you have a client base you can generate your own ‘events’ by focusing on key moments for your clients. What are some examples? Your clients anniversaries and birthdays are obvious places to start! If you have a gap in your shooting schedule, contact a client who has a birthday next month and offer them a special for a shoot plus prints in time for their birthday. Even better is when you have remembered your clients children’s birthdays. Offering a tailored shoot on the kids birthdays will show your clients you care (and really listened!) and can offer something unique to them. If you don’t have an existing client base to tap into, use events which have broad appeal. These are all straightforward ways to use events to drive business. If you are waiting for clients to contact you because you have a great website and post regularly to social media – you may be waiting a long time. Grab the initiative and use events to drive business. This entry was posted in Business Tips, Event Photography, Stock Photography and tagged event photography, family portrait photography, stock photography on February 3, 2018 by Craig Dingle. This week I visited the venue for a function I will be shooting in 2 weeks time. I’m really looking forward to the function. 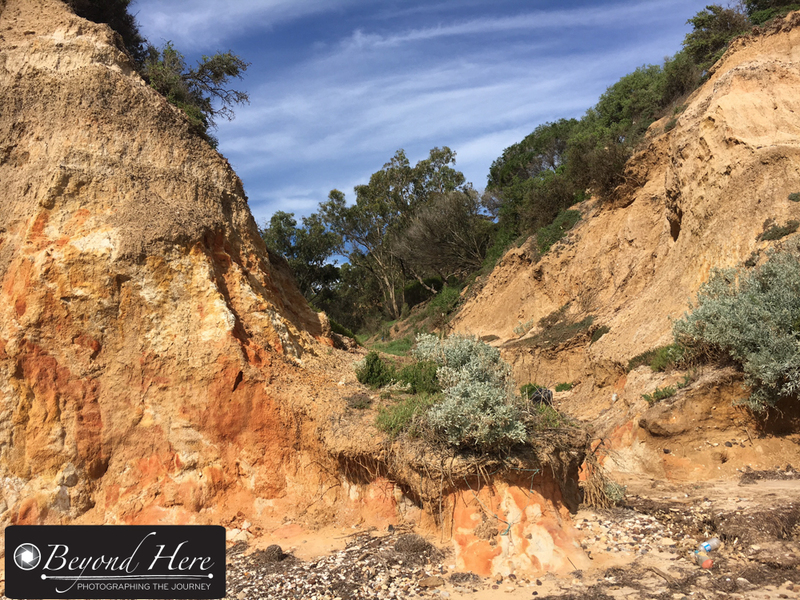 It is for a lovely couple at a beautiful location on the Bellarine Peninsula in Victoria, Australia. 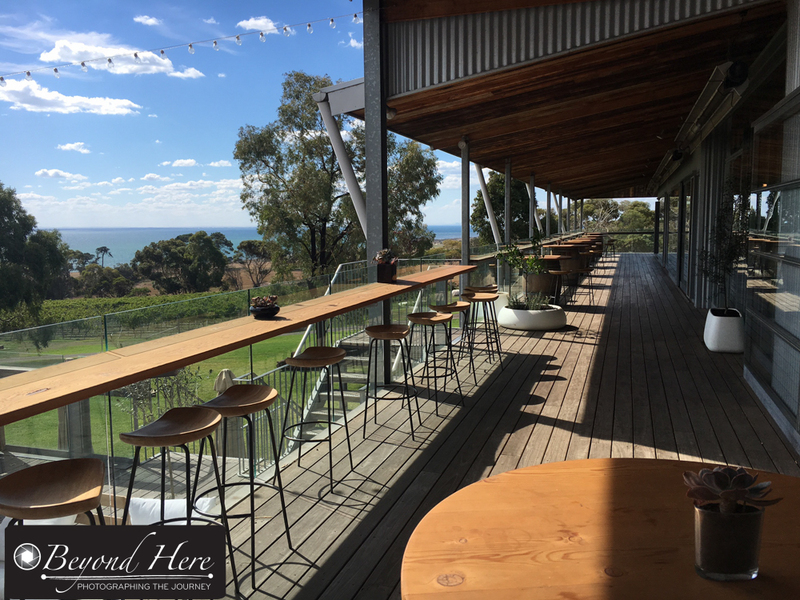 The venue is a vineyard which has a well presented functions area, lots of grape vines, a rural outlook, and 4 wheel drive access to a private beach. It was a long drive for me to visit so, why visit wedding venues beforehand? The answer is obvious – to get the best result for my client! 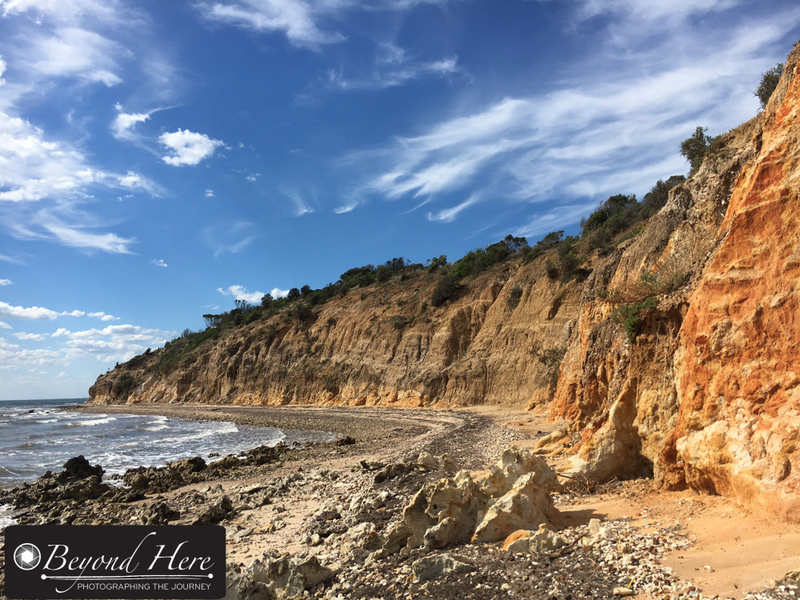 This venue had a private beach with 4WD only access. It was great to visit and plan shots here. To know where the best shots will be made. I don’t make it up as I go when shooting weddings or events. I like to visit beforehand to understand what the possibilities at the venue are, and to develop a shot plan. To do this, I walk around the venue, both indoor and outdoor areas, and imagine the possibilities. I also ask the people at the venue where they think the best photo spots are, and then I ask ‘what are the undiscovered photo opportunities here?’. It’s amazing the insight the venue’s staff can give you. To develop a wet weather plan. Most of the weddings I shoot are in spring, summer and autumn and are likely to have outdoor opportunities for making images. I plan for both good and bad weather. When the weather is bad, you will see how well prepared the photographer is! All function spaces are different and visiting in advance lets me plan. To check out the function area. When it comes to functions and speeches I like to know how the room will be laid out and any strengths or limitations of the space. From this I will develop a plan for where I intend to operate from, and where I would like my second shooter positioned. To best prepare myself for the day. This only comes with experience, but I have learnt that I work best when I am working to a plan. I like to think through the photographic options and plan the timings. Knowing I have that plan in my head let’s me relax and enjoy the time with my clients and their guests. So, one of the key reasons for why visit wedding venues beforehand is actually for me. I know that I will do a better job for my client if I’ve visited and planned. To meet the venue staff. Staff at venues are a wealth of information. They can make suggestions, tell you about images previously made at their venue, show you shots made there, and add their own suggestions. I take the time to listen to their input as I’m planning the day. In the event of bad weather, having an existing relationship with the staff can be a huge help. They will often go out of their way to help show off their venue in the best possible way even when the weather doesn’t cooperate. I take images on my smart phone to help with planning each shot and thinking through the timings. They are the top 5 reasons for me as to why visit wedding venues beforehand. And so when do I visit? I know lots of photographers who wait until the day before the wedding or event. To me this is a risky option. You never know if you are going to be unwell, have an urgent last minute job to do, or have another emergency come up. I like to visit the venue 2 weeks before the wedding or event. And I try to visit at the same time of day that I’ll be shooting the key images. That gives me a better understanding of exactly where the sun will be, and how I can make best use of the natural light. I hope Why Visit Wedding Venues Beforehand has been helpful to you. Best wishes with your weddings and events. This entry was posted in Event Photography, Wedding Photography and tagged event photography, wedding photography, wedding photography tips on April 8, 2017 by Craig Dingle. Running a successful photography business is not easy. It’s hard when you are getting started and you struggle to find your next client. And it’s hard when you have worked hard for 2 years and find you need to spend all your accumulated profits to upgrade your equipment. And I’m seeing more and more photographers who have been operating for years but are struggling to make the profits they feel they should be making. This post looks at how to help them increase margins by delivering more products per customer. Before we look at delivering more products per customer, let’s consider the options open to the photographer who has been in business for several years. They have plenty of work, but are not making the profits they think they should be making. While they love the work they do, they resent that they are working very long hours, juggling multiple different clients at a single time, and every time they feel like they are getting ahead financially, another bill arrives. Do nothing, and continue to work long hours and make sub standard profits. Unfortunately a lot of photographers choose this option, and complain all the way. Increase their number of clients. This option isn’t very appealing to the already tired photographer but it is what they have done for years. Some choose this path, and work harder and harder. Unfortunately, this often produces more and more resentment and only slightly more profit to the photographer’s business. Increase their prices. In this scenario our photographer can continue to shoot the same number of jobs per year but charge more per job. This is a legitimate strategy and one that many successful photography businesses choose. They know how many jobs they plan to shoot in a year, and continue to lift their prices year on year. Increase their profit per job by delivering more products per customer. In this case our photographer looks to increase their profits not by doing more jobs, or raising prices, but by delivering more products per customer. Think about the profit made by the ‘shoot and burn’ wedding photographer provide electronic images only to the customer. 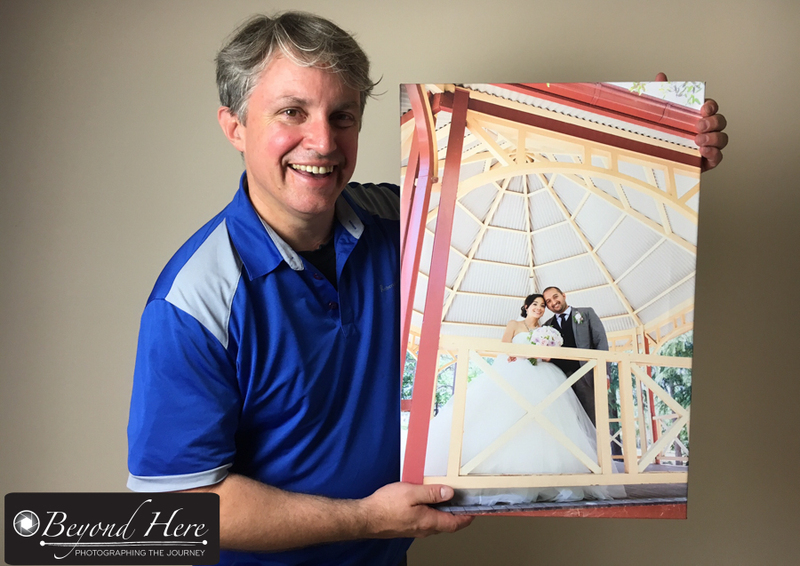 Now, compare that the the photographer who is providing electronic images, prints, canvas prints, thank you cards, and albums to their wedding clients. Who do you think makes the most profit? It’s the photographer who provides more products. There are other options a photographer could use to increase their profit, but these are the basic choices. As you consider what is best for your business, keep in mind it’s not a matter of choosing one strategy or another. To really turbo charge the profitability you could do several of these strategies at once. This year I’m aiming to use options 3 and 4 at the same time. Many photographers will use options 2, 3 and 4 all at once. So how do we go about delivering more products per customer. For regular readers of Beyond Here you will know that I don’t believe in a formula – but that each photographer needs to find methods which suit them. That’s the case here too. That said, here are some strategies for you to consider while you decide what is right for you. Strategy 1 – Make samples of the products you wish to sell and show them to clients when they are booking. I used to take 40x60cm canvas prints with me to clients meetings. Guess what product was really popular? Yes, the 40x60cm canvas print. Now days I’m taking 60x90cm canvas prints. Guess which product is really popular? 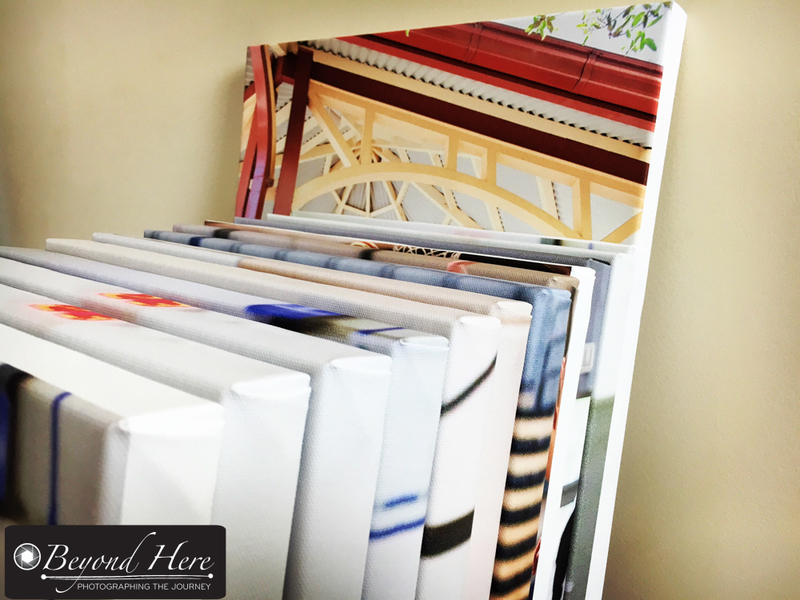 Yes, 60x90cm canvas prints and that is great because the margin is about 50% more than on the smaller print. Make some samples and take them to show clients. You’ll be amazed how clients choose the exact product you’ve shown them. Strategy 2 – Provide ideas and options for your clients. 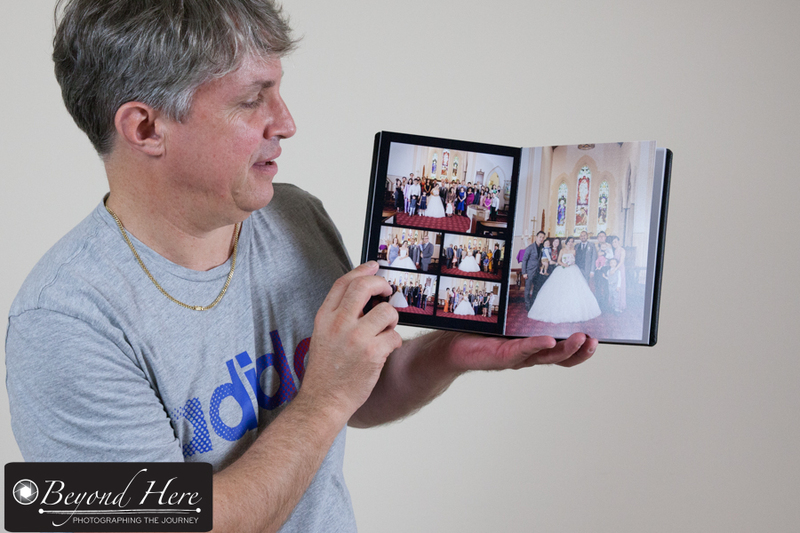 Today I delivered 3 8×6 inch leather bound wedding albums to one of my clients. They plan to keep one for themselves and gift one to each set of parents. What a lovely idea. It’s an idea that came from my suggestion in one of our early meetings. They saw great value in a priceless gift for their family, and I managed to increase my profit on that job. Win, win. Strategy 3 – Make suggestions at key times of the year. How much additional profit do you think you could generate by contacting all of your clients in September each year suggesting products they might to use as Christmas gifts? From my experience, simple ideas like this are gold. They solve a problem for my client – for example, getting a present for their spouse – while increasing the profits of my business. Why do I choose September to do this? It leaves me a few months to make sure I can deliver the products in December, and every year I have at least one client who wants to do another shoot before Christmas. Strategy 4 – Contact your client on important dates for them. Here’s a recent email I sent to one of my clients. It uses the same strategy as number 3, but uses events which are unique to my customers. “Dear XXXX, I’ve just realized that YYYY’s birthday is just a few weeks away. At the time of your shoot I know you loved this image (image attached to email). I have a special deal with my canvas print supplier and can get you a 60x90cm print for $ZZ. Would you like to get one for YYYY’s birthday? I’ll be placing the order next Wednesday, so appreciate if you can let me know before then. Thanks, Craig”. This type of offer generally does well and takes just a few days to go from email to order to delivery. There are 4 simple strategies to help you in delivering more products per customer. 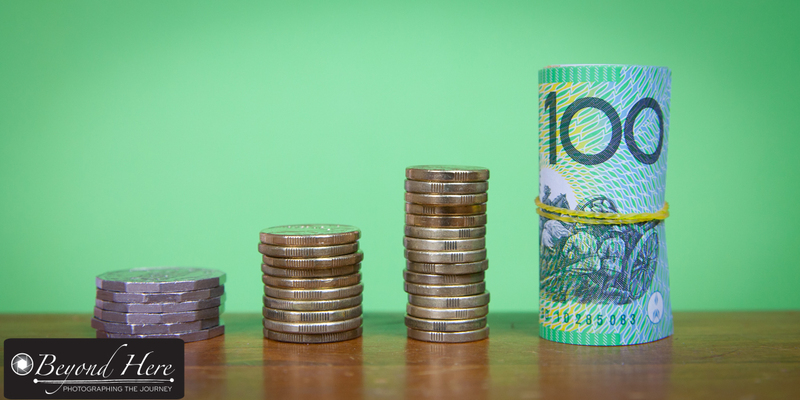 As you review the profitability of your business, is this a strategy that can benefit you? This entry was posted in Business Tips, Craig's Comments, Event Photography, Portraits, Wedding Photography and tagged photography business, photography business tips on April 1, 2017 by Craig Dingle. Event photography is a common way for photographers to make the first step into paid work. It could be a birthday party, a christening, a promotional event, a corporate day, a wedding, or another event. Being able to produce the photographic results is one thing – and being able to deliver what the client wants is another. Here are 5 tips for managing your event photography client. 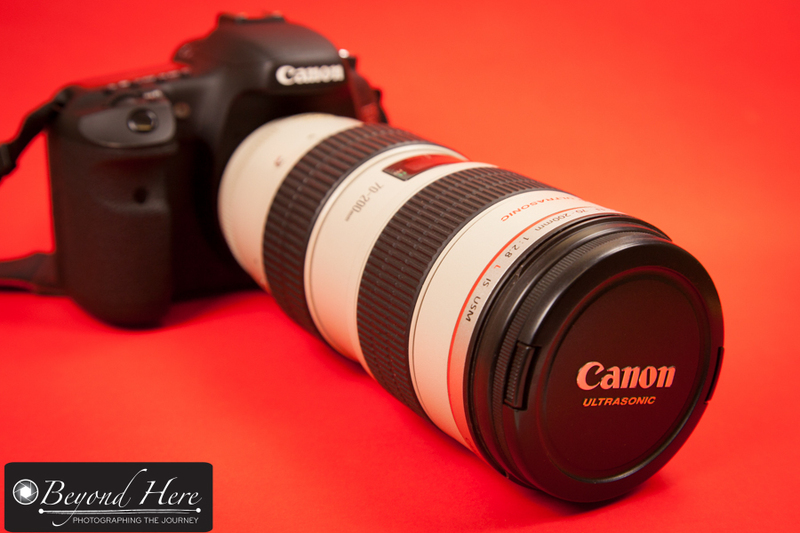 Tip #2 – Be clear about the key moments of the event and be ready to shoot them. Make sure you ask your client “what are the key images you would like from this event?” If it is a birthday party the client might want images of the child blowing out the candles on the cake, an image including the child’s parents and grand parents, and one of the next door neighbor who has baby sat the child over the years. You really can’t deliver the images the client needs without a good understanding of the key moments. It’s about knowing what is important to your client. Once you know the key moments, be sure you shoot all of them and more. Tip #3 – Understand your client’s key deliverables. Often your client will have a deadline to meet and it is important you understand this. Let’s use the example of a corporate event. The client may need the images to be used in a brochure which will go to print in 2 weeks time. This is critical information so that you can agree with the client when you will deliver the images. There is nothing more frustrating for a client to have organised a photographer to be at the event, and then not have the images delivered to meet their deadline. (If your client has a really short deadline, you may consider charging more to give that client’s job the highest priority in your workflow). Tip #4 – Understand how many images your client is expecting and how they will be used. This tip is also to gain clarity about the client’s expectations and to some degree will influence your pricing. If you attend a full day corporate event, your post production time will vary greatly if the client is expecting 100 images compared to 500 images. Ask your client in advance so that you both have clear expectations. It is also handy to know how the images will be used. If they are going to be used only on a website, you can deliver low resolution images ready to be immediately uploaded to the client’s website. If they are going to be printed, try to deliver the images in the appropriate resolution which will make things easy at the client’s end. 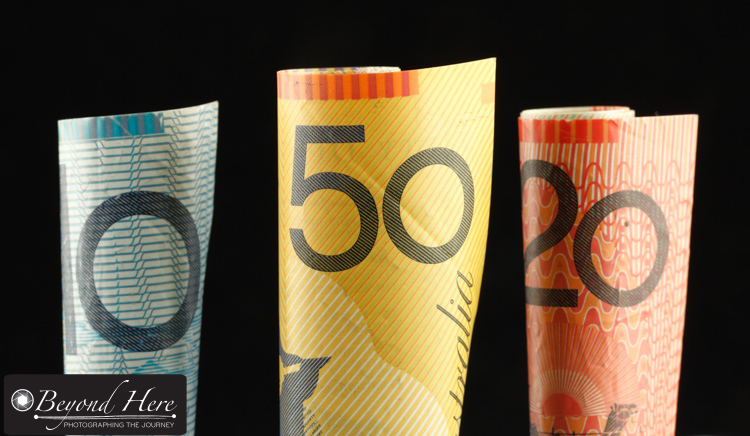 Tip #5 – Get payment in advance wherever possible. Event photography is rife with situations of the photographer not getting paid in a timely manner, or not getting paid at all. To minimize your risk, get payment in advance wherever possible. If you are shooting a wedding you are making a big commitment of time and effort. For weddings it is standard to be paid in advance. Wedding venues asking for payment in advance which makes it easy for the photographer to request the same. If you are shooting a corporate event, be sure to submit your invoice early. Corporations sometimes take time to pay their suppliers, so the sooner you have submitted your invoice, the sooner you will get paid. Thanks for reading 5 tips for managing your event photography client. Good luck with your event photography. This entry was posted in Business Tips, Event Photography, Wedding Photography and tagged event photography on May 29, 2016 by Craig Dingle.